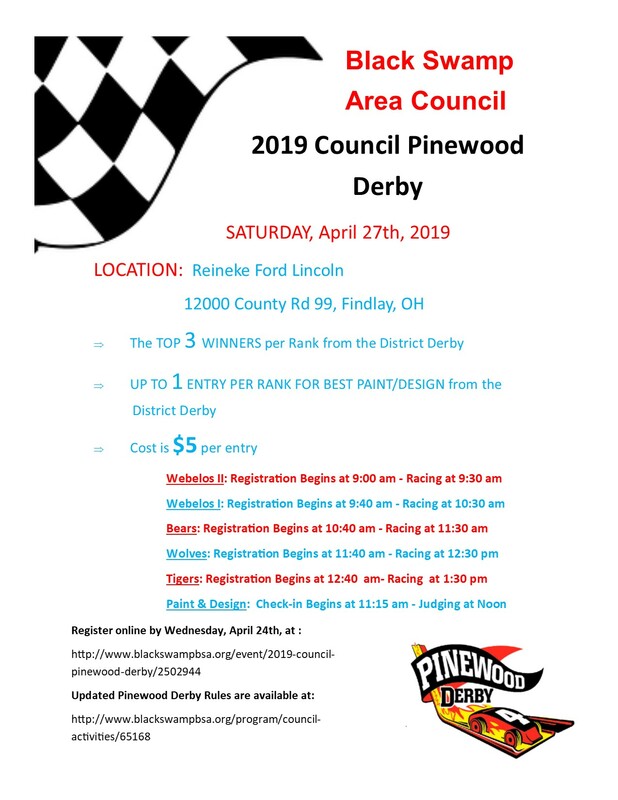 We are thrilled to welcome the best of the best racers from each District to join us on Saturday, April 27th, at Reineke Ford Lincoln dealership (12000 CR 99, Findlay, OH 45840). To qualify for the Council Pinewood Derby, you must finish 1st, 2nd, or 3rd in your age group, or be selected as the best in your age group for the paint/design category. Winners at the District Derbies should receive a flyer to register for the race. This flyer will also contain information about what time your age group will race. Best of luck to all, and we hope to see you racing on April 27th!